As the weather gets cooler, my craving for soup increases. There is something just so incredibly comforting about tucking in to a big bowl of luscious, creamy soup. And if said soup happens to have some crispy, crunchy topping on in — all the better! The problem with all this, is that most of the time a big bowl of creamy soup with crunchy toppings is not always the healthiest choice — usually that means loads of cream, cheese, fried toppings and (if you’re lucky) even bacon! What’s a creamy, comforting soup-lover to do?? The answer? Make this beautiful Carrot-Ginger Soup with Roasted Vegetables. Not only is this soup gorgeous – its healthy and incredibly satisfying. The puréed white beans thicken the soup and make it very creamy all while boosting the fiber and making this soup stick with you for a while. The recipe comes from Food Network Magazine and while it may not be the quickest, easiest soup you’ll ever make, its beauty and taste more than make up for it. Puree the soup with an immersion blender (or transfer to a regular blender in batches and puree); season with salt and pepper. Divide the soup among bowls. Drizzle with olive oil and top with the vegetable-crouton mixture and scallion greens. I am not easily surprised by pasta. I think that’s because, while I dearly love pasta, I find it difficult to do something surprising with it. There’s not much I don’t like in my pasta but you always kind of know what you’re getting into and what it’s going to taste like. Until last night. I decided to try Pappardelle with Chicken and Pistachio-Mint Pesto simply because it looked, well… different. I love pistachios and am always anxious to try out a new pesto. Pappardelle is one of my favorite pasta types and you can’t go wrong with chicken and tomatoes. It seemed like a no-brainer. The zucchini and yellow squash were really the only wild cards here because, while I don’t mind them, I don’t generally seek out recipes with them. If I do eat them, I prefer them raw, which is exactly how they are served in this pasta. In a word, this dish was amazing! So easy to make and so different from anything else I make on a regular basis. It was bright and hearty yet tasted like you were eating something healthy and nourishing because, well… it is healthy and nourishing. 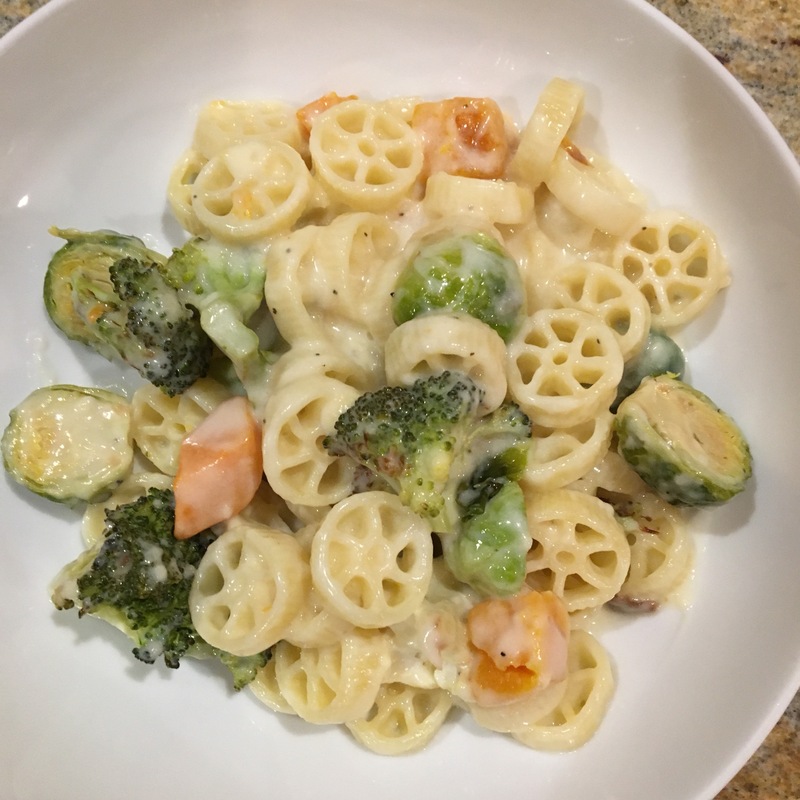 The recipe comes from Food & Wine magazine and is the perfect quick, guilt-free pasta for a satisfying weeknight meal. 1. In a food processor, combine the mint with the pistachios and lemon juice and pulse until finely chopped. With the machine on, gradually add the olive oil until incorporated and the pesto is nearly smooth. Scrape into a large bowl and season generously with salt and pepper. 2. Meanwhile, in a large saucepan of salted boiling water, cook the pasta until al dente. Drain well, reserving 1 cup of the cooking water. Add the pasta, chicken,zucchini, yellow squash, tomatoes and reserved cooking water to the pesto and toss well. Season generously with salt and pepper and toss again.